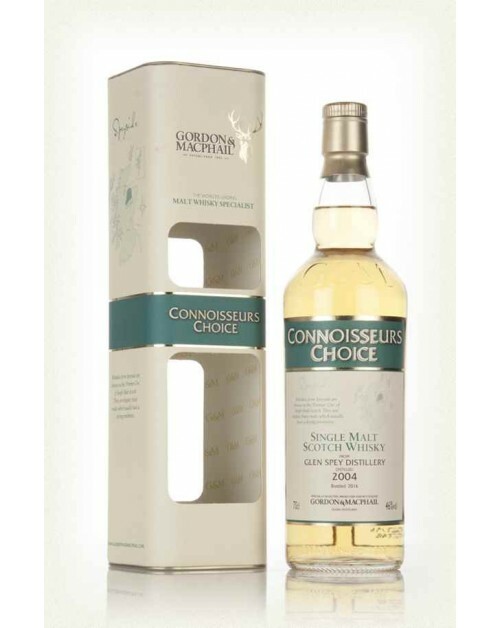 An independent Highland single malt whisky bottling from Gordon & MacPhail's "Connoisseurs Choice" range. This is a 2004 single malt from the Glen Spey Distillery. It was bottled in 2016 at 46% abv. Nose: Fruit, almonds and a hint of cut grass. Palate: Vanilla, caramel and fruit. Finish: Long with almonds and vanilla.